If you’ve got a lot of work to do or you need to pull a trailer to the location where you want to have fun, a truck is the right vehicle for the job. The toughest trucks you can find around Tyler, TX are the Ram trucks and when you choose the Ram 1500, you’ve got what you need. 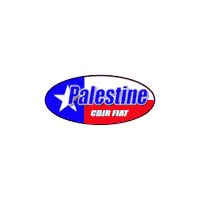 Ask our team at Palestine Chrysler Dodge Jeep Ram Fiat how this truck can be perfect for you. You’re looking for a vehicle as tough and capable as you are, the Ram 1500 certainly comes close. Imagine how much you can enjoy when you take one of these trucks out on the roads in when you stop by our dealership to take a test drive. You’re going to be amazed by the variety we offer and the different ways you can have the equipment you want in this incredible truck. Choose the right one for you so that you can have the power to get the job done, the power to bring the boat to the lake, and the power to just go out on the trails and have some fun. There’s a special smoothness offered when you drive the Ram 1500. This impressive truck is one that rides nearly as comfortable as a car and it offers you an excellent interior from which to enjoy this ride. When you step inside you’ll notice the large 8.4-inch touchscreen in the center that brings you the benefits of 4G LTE Wi-Fi, Apple CarPlay, and Android Auto. Sit in the comfortable seats and feel the support offered. Feel the steering wheel and the easy reach for the pedals that puts you in charge of where the adventures take place in this truck. Not only is the Ram 1500 a tough truck that you’re sure to love when you drive in Tyler, TX, this truck is also equipped with features that make sense for your workday. Choose the optional RamBox system and check out the large bins that are built into the bedsides of the truck. These are the perfect boxes for you to have a place to keep your tools, and to put your wet clothes and gear when you’ve had a long hard day on the job site. If you’re wondering how you get the toughness of this truck home with you, all you need to do is see our team at Palestine Chrysler Dodge Jeep Ram Fiat today. We have several financing and leasing programs for you to choose from in order to find the right way to experience an affordable ride in this truck. We’ll take you on a test drive and show you how many different options you have to fit this truck into your budget. The Ram 1500 reflects the toughness that you exude every day, make this the truck you love to drive today.